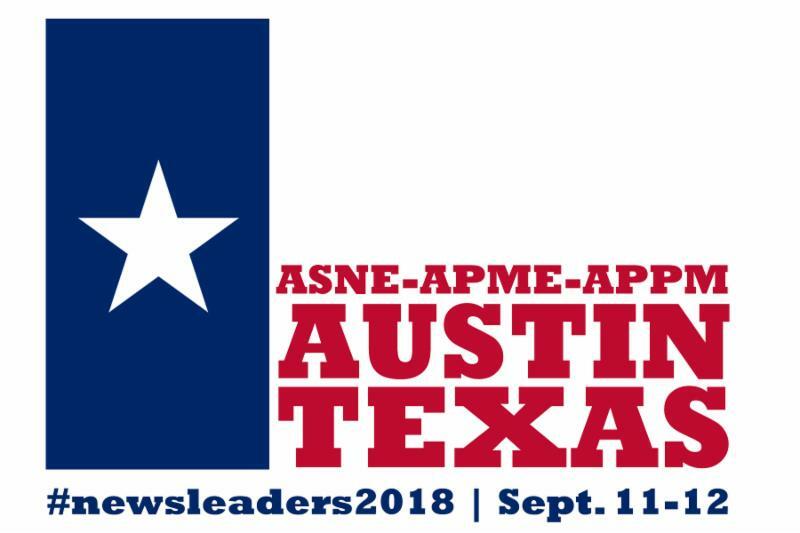 The 2018 ASNE-APME News Leadership Conference kicks off in less than nine weeks! For two full days at the AT&T Executive Education and Conference Center, we'll address the latest innovations in content and technology, leadership strategies, new business models and more. Check out the schedule and sign up now to join us Sept. 11-12! In recent years, the level of nastiness on comments on stories have left editors tormented about how to handle them, with some news organizations ditching comments from their site all together. But in the past year, as subscriptions became a more important part of the revenue stream, publishers found some interesting data. It turns out subscribers are far more likely to comment on articles or read the comments themselves, making them a critical selling and retention tool. And then a new open-source commenting system, funded by Knight Foundation, was released, decreasing costs for publishers and improving moderation. So where does that leave us now? 3. Innovation Track: Does Local Opinion Still Matter? In one word: Yes. How can you focus your opinion writing on issues that are critical to your community and make changes? What are the new digital storytelling techniques, other than narrative argument, that you can use to state your case? At 2:33 p.m. EDT Thursday, July 5, countless maembers of the journalism community took a moment to reflect on the tragedy, remember those lost and hurt and resolve to continue the good fight. Examples of some of those remembrances are here. Read more about the observance. Star-Ledger: 'Guys like that don't get wiped out in a day.' Why the mob still holds sway at the port. Des Moines Register: 'Not medically needed': A private Medicaid manager is trying to slash a paralyzed Iowa man's care. Again. Florida Sun-Sentinel: The world has never seen a Category 6 hurricane. But the day may be coming. Brian Carovillano - AP managing editor: For more than two decades now, Karen Testa has been in the middle of more big stories than you can imagine. She's launched the AP careers of dozens of young journalists. My own AP journey began many years ago with a job interview at the old Boston bureau with Karen, who instantly won me over with her passion for news and her informality. I'm writing today with the sad news that Karen has decided to leave the AP after a career that led her from a legislative temp posting in Albany to the helm of one of our busiest and most important regions. We understand her decision to stay in Philadelphia with her family as the East Desk relocates, but we'll miss her enthusiasm, energy and commitment. Her last day in the office will be this Friday. Karen spent seven years as the regional editor for the East, a span that encompassed some of the most memorable stories of our time - from the Boston Marathon bombing to the Bill Cosby trials. Before that, she was news editor in Boston, swinging into action on 9/11 after it became clear one of the planes had taken off from Logan Airport, and covering the 2004 Red Sox World Series win after so, so many years of ineptitude (so many). She's also spent time as a reporter in Florida, Missouri, New York and her native Massachusetts. In recent years, she has been at the center of our efforts to tell the story of how the Trump presidency is playing out across the 50 states, and how the #metoo movement is changing our society. We are grateful to Karen for her many years of leadership and her relentless pursuit of the news, and we wish her the best in every future endeavor. Longtime local journalist Joe Tarica has been named editor of The Tribune and SanLuisObispo.com, it was announced Thursday. Tarica, who celebrated his 25th year at The Tribune in January, started his career in the newsroom as an intern in 1991 while a student at Cal Poly. Since then, Tarica has worked in nearly every newsroom capacity, as a copy editor, page designer, assigning editor, reporter, photo editor and, most recently as senior editor — as well as overseeing graphics and video. "I am truly honored to lead such a talented and committed group of journalists in a newsroom that's been home for my entire career," Tarica said. "I know this county and the issues that are important to the people who live here, and I will work with passion and dedication, using all of the tools at our disposal, to tell great stories, hold our leaders accountable and defend responsible journalism on the Central Coast at a time when it's never been more vital." During his time at The Tribune, Tarica has won numerous awards, including recognitions for column writing and headline writing, as well as more than 25 Society for News Design awards while presentation editor overseeing newspaper production. Los Angeles Times Executive Editor Norman Pearlstine on Monday unveiled his leadership team that includes newsroom veterans and a newly hired editor. Scott Kraft becomes managing editor. Kraft has been with The Times for more than three decades, and now will be responsible for foreign, national, Washington, California and Metro news in addition to investigations and enterprise reporting. Until Monday, Kraft, 63, served as deputy managing editor and previously was front-page editor and national editor. A longtime national reporter and foreign correspondent, Kraft served stints as bureau chief in Nairobi, Kenya; Johannesburg, South Africa; and Paris. He grew up in Kansas and joined The Times in its Chicago bureau in 1984, after working at the Associated Press, where he was recognized as a Pulitzer Prize finalist. He was one of the few senior editors to survive a purge of the paper's leadership last summer by its previous owners. "Scott's promotion is an acknowledgment of the role he instinctively took on during the past tumultuous year, working with teams throughout the newsroom to produce journalism of the highest quality," Pearlstine said in a note to staff. On Monday, The Philadelphia Inquirer announced a newly created position — vice president for diversity and inclusion. Michael Days, who previously was vice president and editor for reader engagement, will serve in that role. “It’s been clear to me since I first walked into a newsroom decades ago that the composition of a newsroom weighs heavily on how the organization views those for which it writes and how that community views the institution,” Days said in a press release. In the role, he’ll lead diversity and inclusion training and work to find, keep and develop diverse staff. FLAGSTAFF, Ariz. (AP) — Randy Wilson, the longtime managing editor of the Arizona Daily Sun, has died, executives with the Flagstaff newspaper announced Sunday. He was 65. He died Saturday afternoon but a cause of death wasn't immediately released, the Sun reported. Wilson worked at the Daily Sun for more than two decades, first as city editor then as managing editor overseeing everything from local news coverage to opinion content to the layout of the next day's paper. "To say that Randy will be missed is an understatement of monumental proportions," Daily Sun publisher Don Rowley wrote in a tribute to Wilson on the newspaper's website. "He was, in many ways, the voice of the newspaper, the guardian of free speech for the community, and the institutional memory of the Arizona Daily Sun." An avid outdoorsman who loved to hike and bike, Wilson had the same passion for journalism. He was a "stickler" for newsroom independence and integrity, Rowley said. He was also not afraid to ruffle feathers in the pursuit of government transparency. "I don't know what we're going to do without Randy's steady, mentoring hand in the newsroom," Rowley wrote. Wilson is survived by his wife and one daughter.